Landscape lighting magnetic transformer in stainless steel NEMA 3R rain-tight enclosure. Timer & photocell options can be specified. Designed for wall-mounted exterior or interior installations. Available in 100W, 300W, 600W, 900W & 1200W capacities. Individual circuit breakers for each 300W circuit (one for 100W version). Multi-tap outputs. 12V and 15V for 100W version. 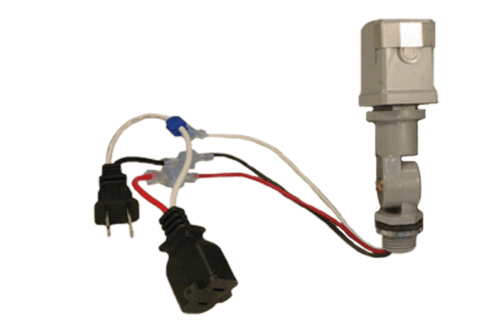 11V, 12V, 13V, 14V & 15V taps for all others. 120V input. Six foot outdoor cord with plug standard. Contact Vision3 for other input voltages. 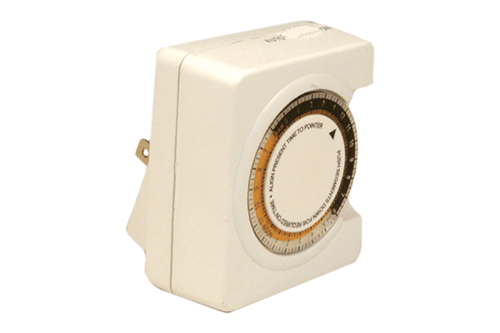 24 hour removable timer and remote photocell option can be specified and can be installed in the field. Removable cover on 100W version, and hinged wiring compartment door on all others, allows access to input and output terminals. 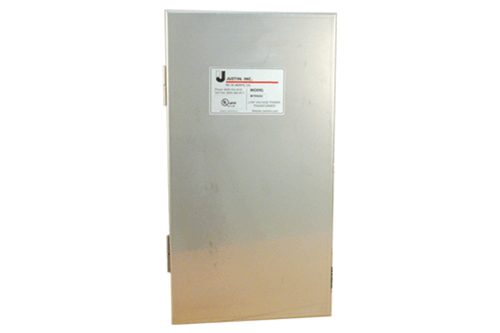 Low voltage circuit breakers, multi-tap outputs, and X-10 remote control compatible. Total 1/2”, 3/4” double knockouts on the side and one 1 1/4" and 1 1/2" double EKO on a swing down bottom for the 100W version. Up to five 1/2", 3/4" knockouts on the bottom and side for the 300W, 600W, 900W, and 1200W versions. Stainless steel NEMA style rain-tight enclosure.